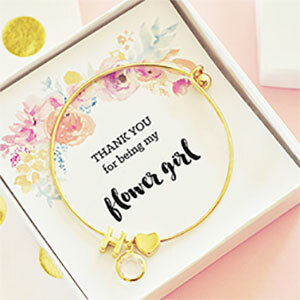 18K Gold Plated Personalized Flower Girl Bracelet. 2″ diameter. 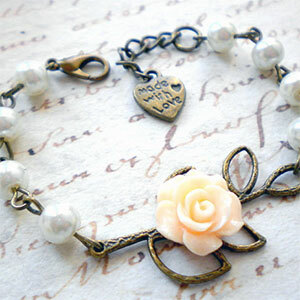 Antique Bronze Finish Flower Girl Bracelet with White or Ivory Glass Pearls. 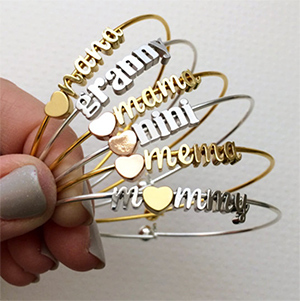 Choice of 5, 5.5, 6, or 6.5″. 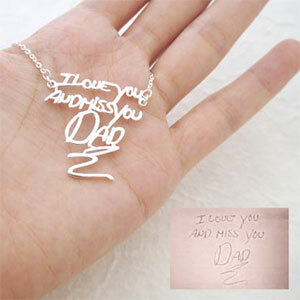 Initial Heart Necklace. Gold or Rhodium Plated. 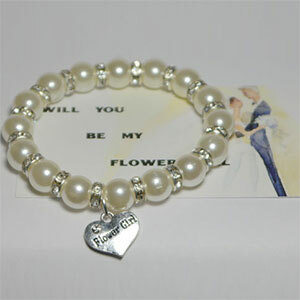 Personalized Flower Girl Name Bracelet. 21 different charms and 29 different colors to choose from. Matching necklace also available. 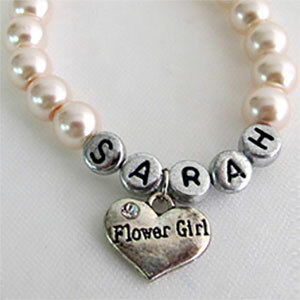 Personalized Flower Girl Necklace with Flower and Initial Charms. 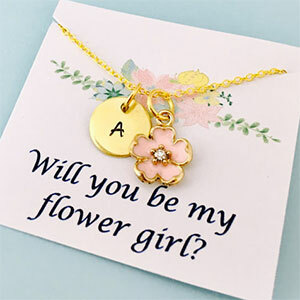 Choice of five flower colors and Six Chain Lengths. 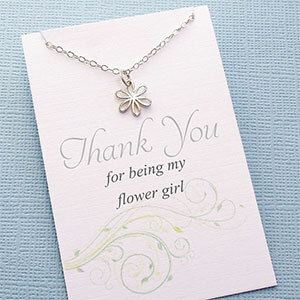 Silver Daisy Flower Girl Gift Necklace with Card and Gift Box.